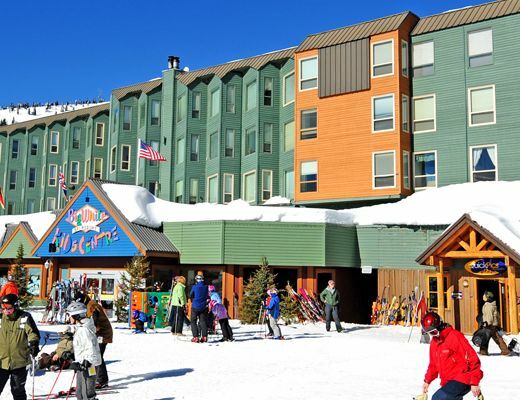 This family-friendly condo rental, located in the heart of Big White's village center, provides easy ski-in/out access to Hummingbird Run. Warm and welcoming, this Whitefoot Lodge unit promises cozy lodging accommodations, perfect for your upcoming mountain vacation. Well-appointed and tastefully decorated, this delightful resort rental features attractive furnishings, pleasing textiles and a lovely fireplace, ensuring rest and relaxation. The fully-equipped kitchen provides all the comforts of home and enables easy meal preparation. The bedrooms offer a peaceful refuge after a long day spent on the slopes, while the bathrooms features modern fittings and fixtures. With equipment storage, a common hot tub and underground parking available for guest use, you are certain to enjoy every last amenity provided here. Special Note: Rates based on 4 person occupancy, extra person fees apply.